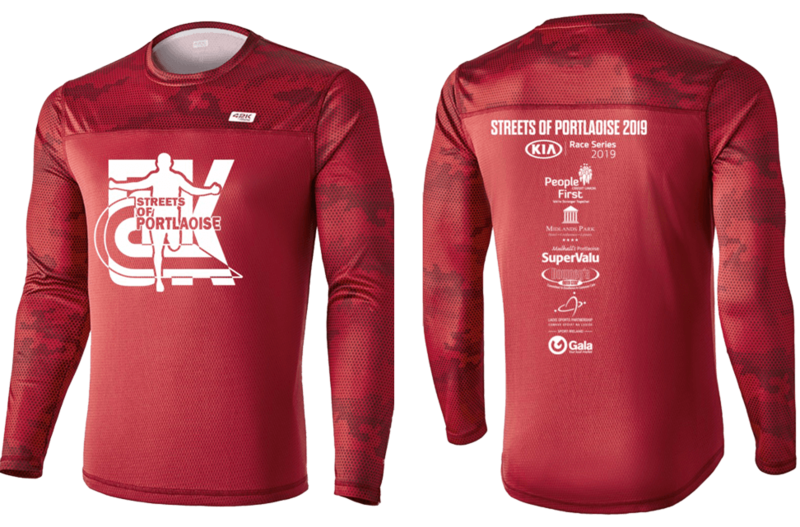 Thank you to all who supported the Streets of Portlaoise 2019 and to all the volunteers who helped - check out our race report below. 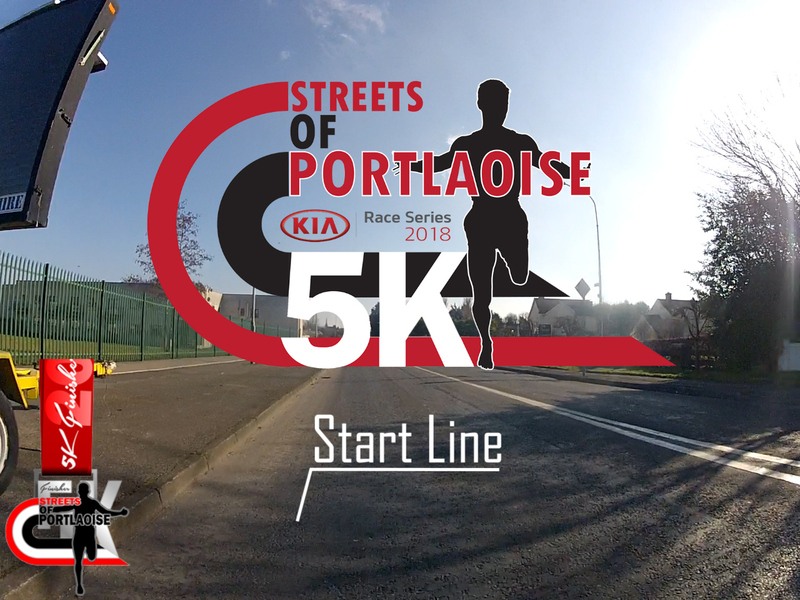 The Streets of Portlaoise 2019 saw a record number of over 900 runners take part in the annual 5k road race on a cold but dry morning. Elite runners came from all over the country including John Travers, Hiko Tanosa and the Kilkenny City Harriers trio of Eoin Everard, Tos Hayes and Brian Maher. Linda Byrne, Siobhan O Doherty and Mary Mulhare were just some of the elite women taking part. First to cross the finish line was John Travers from Donore Harriers in a time of 14:25 and setting a new course record in the process, followed closely by last year’s winner Hiko Tonosa from DSD in 14:34. Eoin Everard was hot on their tails to finish in 3th place in 14:44, with Rory O’Connor of North Cork AC in 4th 14:49 and Tos Hayes Kilkenny City Harriers finishing in 5th in a time of 14:56. John Travers took home the course record prize of €500 which was sponsored by Kia Race Series. The women’s field was equally as competitive with Linda Byrne winning in a time of 17:09 followed closely in 2nd place by Grace Lynch from Iveragh AC in 17:18. Claire McCarthy was 3rd in 17:29 with Siobhan O’Doherty finishing just behind in 4th in 17:34. Our own Mary Mulhare finished in 5th in 17:48. First Junior Male home was Cian Kelly from St. Abbans AC in 16:01 and Sorcha Moloney from Ballyroan Abbeyleix and District AC was first Junior Female home in 18:39. Over 500 children lined up to take part in the 3 children’s fun run’s with each child receiving a medal and Easter egg. 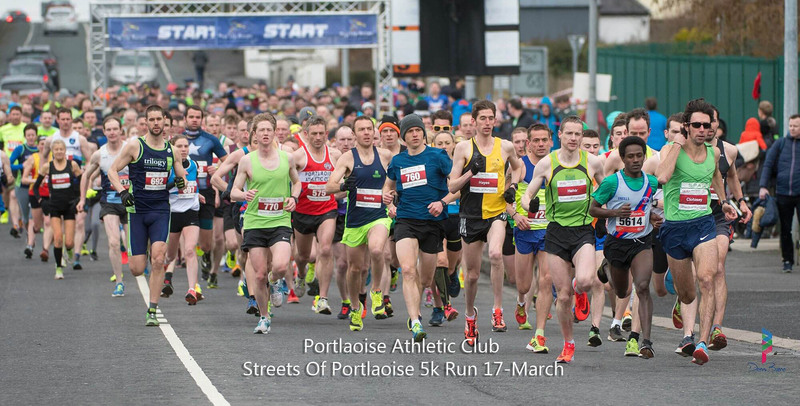 Portlaoise Athletic Club would like to thank everyone who supported our race including all our sponsors and marshals. A special word of thanks to all the Gardaí for all their help in ensuring that the Streets of Portlaoise 5k ran smoothly and safely. Hope to see you all again in 2020! Pop Up Races are providing the chip timing for this years race and are also facilitating online registration. 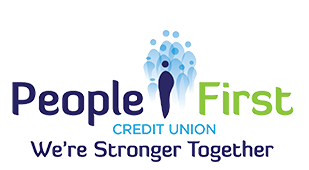 Race entry is €15 + fees and participants can register online or on the day from 8.30am in the Midlands Park Hotel Portlaoise. Under 16’s require Parent/Guardians consent to participate and must register on the day – price €10. The race will start promptly at 11am. The start of the race will be divided into time zones based on your running ability and predicted finishing time, please adhere to these time zones. If you are a jogger, walker or taking part with children please do not line up at the front of the race. Walkers and participants with buggies must start to the rear. Please be mindful of other participants and please adhere to the instructions of stewards along the course. Headphones are not permitted during the race. Once you have crossed the finish line, please proceed forward to collect your race medal. Water will also be available at the finish line. Changing facilities, refreshments and prize giving in the Midland’s Park Hotel after the race. There will be 3 kids fun runs U7, U10 & U12 taking place before the main race with all children receiving a medal and an Easter egg. The cost for this is €3 per child and registration takes place from 9:00am in the Midlands Park Hotel. Each child will receive their Easter egg at registration and will be presented with their medal at the finish line where they can be collected by their parents. The fun runs will start near the Midlands Park Hotel and finish at the bottom of Main Street at the main finish gantry. Under 7's will start at 10am, Under 10's will start at 10:10am and Under 12's will start at 10:20am. Last years race saw the introduction of a new 5k race route to cater for the increase in the numbers of runners taking part each year and again the course will be closed to all traffic for the duration of the event. 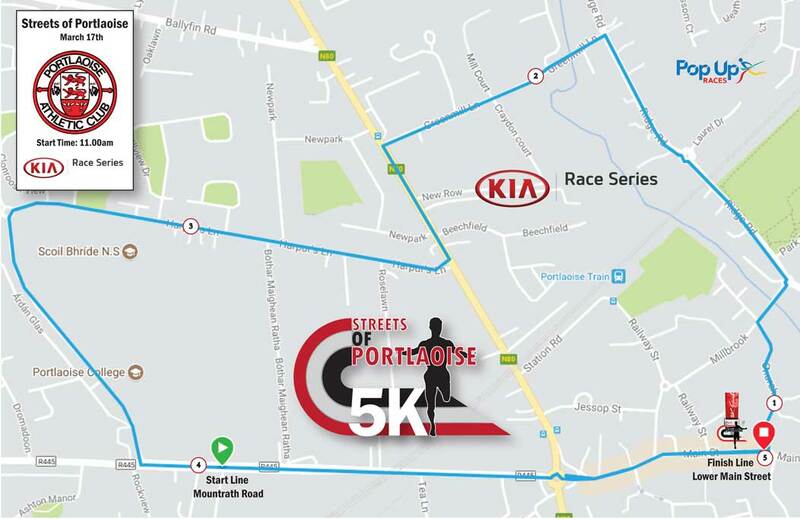 The race starts close to the old Centrepoint Shopping Centre on the Mountrath road, runs down Main Street before heading out the ridge road, back up Mountmellick road, right up harpers lane and down the Mountrath road. 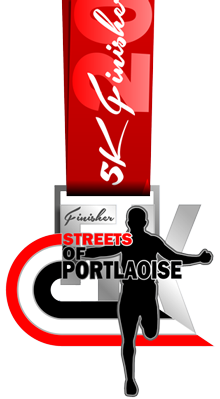 The finish line is at the bottom of Main Street Portlaoise. Course is AAI measured and permitted. Nearly €3000 in cash prizes. Top prizes for first 5 senior male and female, the following race categories O/40, O/45, O/50, O55 and first Junior male/female (U/20). 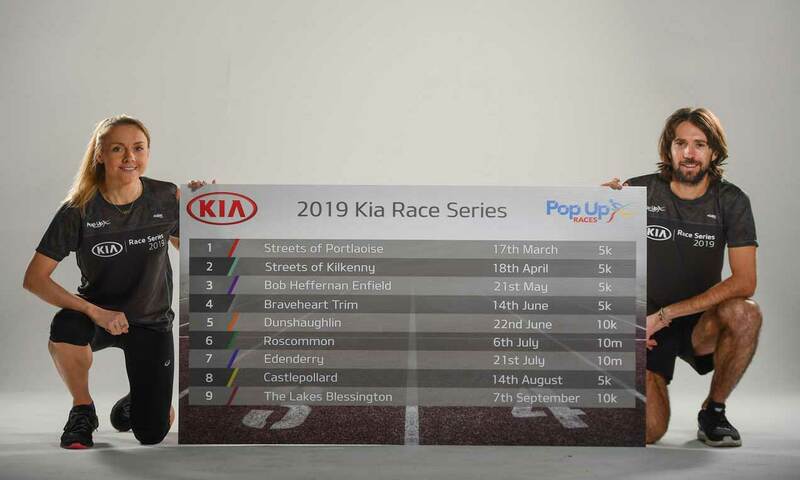 Course record cash prizes for both male and female senior runners - €500 each which is being sponsored by Kia Race Series. Finishers medal for all participants. Parking is available in the multi storey carpark adjacent to the Midlands Park hotel where registration takes place. Road closures and traffic restrictions will be in place from 10am. The race committee would like to extend a big thank you to all our sponsors - all local businesses who continue to support the event each and every year and have helped to make it grow into one of the most popular and unique road races on the calendar.